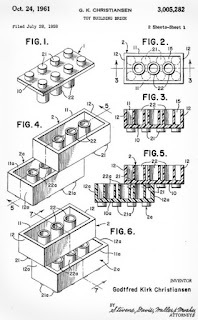 It's the 60th anniversary of the LEGO brick this year, which should serve to either make you feel like "wow, LEGO has been around since my great-great-great-grandparents were born" or "huh, I'm old." I fall somewhere in between. The more handsome side, whatever that is. As part of their big 6-0, LEGO is releasing a series of sets simply called "Building Better Thinking." Which could be the title of a keynote address that I could give. Anytime. Really. Call my people. The idea behind these sets is to give kids a set of a variety of bricks and slopes and plates and pieces that aren't oriented toward any one thing, but showing them the infinite possibilities that LEGO provides. This is similar to the existing "Classic" line that I give away in my workshops (call my people), but with a few more specialized pieces, loosely clustered around a theme. The set I'm focusing on is the mid-sized set, World Fun. 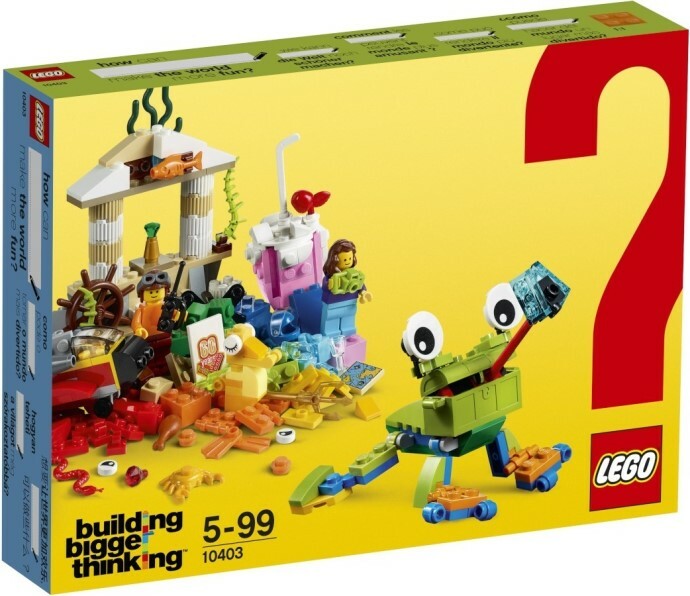 Essentially 300 pieces that can be used to build just about anything, the set does include instructions for a seahorse, a frog (complete with extended tongue and a freshly caught fly), and a helicopter. There's an "Atlantis" style underwater temple, and a pink ice cream sundae pictured on the box, but there are no instructions for them. I built the Atlantis temple based on looking at the picture, and there were enough pink pieces left over that the sundae is buildable too. This sets it apart from other "Creator" sets, where there are three different models pictured on the box, but you need to disassemble Model 1 to build Model 2, etc. There are also two minifigures, a girl in purple and blue, and a boy in orange and brown. As much as I love the Star Wars and superhero LEGO sets, there's something to be said for a box of colorful bricks that can be used to build just about anything. That's what the Building Better Thinking sets are all about. If you're looking for a way to start a classroom or grade level LEGO collection, this is a great place to start. Some fine print: the LEGO Set of the Month will only be available to U.S. residents. Even though I love everyone on the planet, international shipping is beyond my reach. 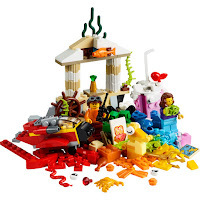 The drawing for the January LEGO Set of the Month will be at 11 AM MST on Saturday, January 27. The drawing will be taken from all eligible entries with a random generator. So hopefully you win. Yeah, you.